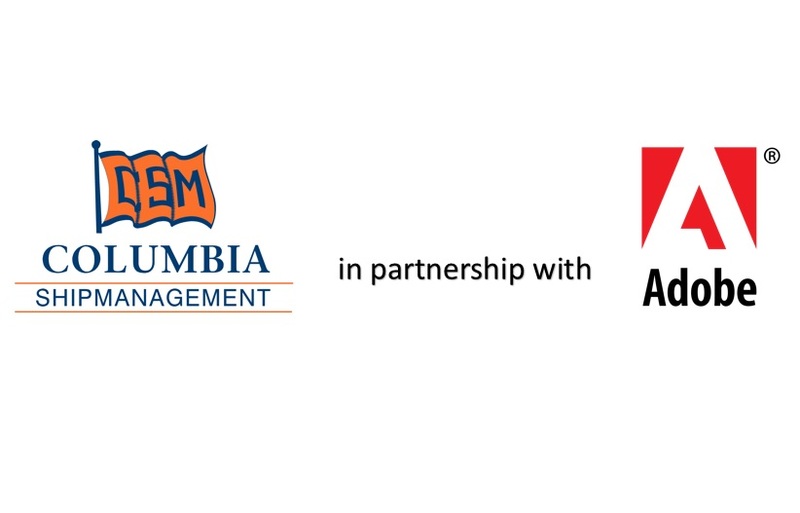 Columbia Shipmanagement proudly announces the launch of its own eLearning Management System (LMS) in partnership with Adobe Systems. For the first time in shipping, a cutting edge Web and App-based eLearning platform enables seafarers to access and complete their training assingments at their own pace, whereever they are and even withouth having network connectivty. This has become a reality thanks to the ambitious schemes to embrace a digital transformation which has led Columbia to become the first organization in the shipping industry to partner with a multinational computer software company to implement a global LMS solution for all organization’s e-Learning courses. Columbia’s LMS enables a new learner experience by harmonising the training and courses for seafarers and fleet wide activities worldwide. The new LMS can be used at the seafarers’ convenience and from any location: office, onboard vessels, at their homes, or even when travelling. Seafarers can now complete interactive courses using computers or mobile devices to download the courses, generate certificates after successful completion of the relevant test, collect points and badges, post comments and questions in dedicated forums, participate in webinars, attend virtual classrooms and also access to virtual reality content among many other features. All Columbia’s seafarers have now access to the platform and can benefit from a large catalogue of interactive and engaging courses. Columbia has a dedicated in-house team for the development of tailored eLearning courses using the latest and most advanced authoring software. The LMS, Adobe Captivate Prime, enables Masters and Managers to create Continuous Development Programmes for their teams by enrolling them through specific courses. The captured data helps monitoring the effectiveness of the trainings, attendance, providing feedback on participation or even managing results on how quickly the workforce is improving through skill awards. 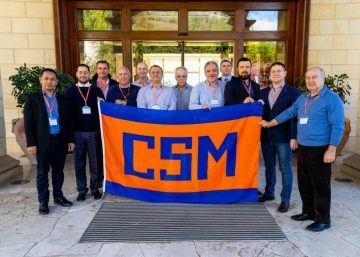 Captain Faouzi Fradi, Group Director of Training at Columbia Shipmanagement, said: “Seafarers play a key role in operating Columbia’s fleet, hence it is of utmost importance to recognise their contribution and efforts by caring about their wellbeing and satisfaction. 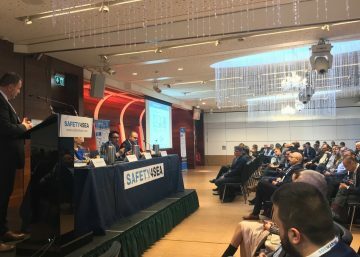 Columbia’s LMS has been implemented to train and educate seafarers but also to adapt to their schedule and lives, while onboard or ashore and help them train on their own terms”. In a further development Columbia has completely revamped its web-based Crew Portal; a private space where Seafarers have access to information about their next assignment, certificates and documents, training requirements, payrolls, company news, safety alerts and lessons to be learnt among other features. Recently Columbia has inaugurated its first Performance Optimisation Control Room. With 24/7/365 support, CSM will be able to take even faster decision when optimising management services and greater visibility by using modern technology to achieve cost-efficient vessel operations. Centralising operations will give Columbia the ability to better deal with fast- changing scenarios and developments as they happen.The Control Room functions, amongst others will optimise vessel safety, security, crew, commercial operations, voyage control, fuel consumption operations and many other aspects.